This 2018 COMBAT MAXUM Senior League Baseball Bat (SL8MX105) comes with a drop 5 length to weight ratio, a standard 2 5/8 inch barrel diameter, and the USSSA 1.15 BPF certification stamp. Plus, the handle comes pre-wrapped with an insanely comfortable Lizard Skins Grip to enhance overall feel and reduce vibration in the hands. Increase your batting average and purchase one of these COMBAT MAXUM baseball bats today with free shipping and amazing 24/7 customer service exclusively at JustBats.com. Never forget, we're here for you from click to hit! Pros: Quick shipping, lots of pop out of the wrapper. Very Balanced! Pros: Good pop and good feel, but the handle snapped during normal BP. It will be warrantied, but I hope this isn't a sign of flaws in the design. My son was very disappointed. And, now if something happens 8 months down the line we will be out of luck. Cons: Handle snapped in two with 2 weeks of using the bat. Pros: This bat has lots of pop and has a pretty hood feeling. Pros: The best drop 5 out there in my opinion. Of course the CF is great as well but you cant find that anywhere. you cant beat the price on this either. Sad that this will be the last of the Combat line but if you look at the new Ghost...it looks more like a Combat bat than the prior Eastons. Good job Easton at swooping up this company! Pros: I bought this for my 13yo. Right out of the box, this bat has GREAT pop! The balance is better than I expected. My son loves the larger hitting surface. Knowing he will only use this for a season, being a single wall is not an issue. I would definitely recommend this bat. Cons: The only reason I did 3 stars for durability is because the bat has only been used in the cage so far and is still fairly new. I wouldn't feel comfortable leaving a better or worse review on that issue at this point. Cons: We are missing the Lizard Skin wrap that used to come with Combat. Have to add later. Pros: Great pop out of the wrapper. Had his first over the fence homer on the big field. Have a question about the 2018 COMBAT MAXUM -5 Senior League Baseball Bat: SL8MX105? Ask our team of experts and they will respond within 24 hours. Will this back comply to the new USA standards? This 2018 COMBAT MAXUM -5 Senior League Baseball Bat (SL8MX105) features the USSSA certification on it. Therefore, it will not have the USABat certification and will exceed the performance standards set forth for that USABat certification. This bat would not be permitted for use in Little League, Babe Ruth, Dixie, Pony or AABC leagues. It says hot out of wrapper. Does that mean it doesn't need to be broken in with 150-200 hits off a tee? How does it compare to the old portent combat bats of old as far as pop? The 2018 COMBAT MAXUM -5 Senior League Baseball Bat: SL8MX105 will not require any break in time and will be one of the hottest bats on the market. Who makes this bat? With Combat going out of business at the end of 2016, is this made by folks in Canada or somewhere else? Also, what is primary difference between 2018 and 2017 model. Easton owns ComBat and makes the 2018 ComBat Maxum line. Not much has changed between the 2017 and the 2017 Maxum Line, the main difference is going to be the cosmetics. Is this bat different from the 2017 Combat Maxum? The 2018 COMBAT MAXUM -5 Senior League Baseball Bat: SL8MX105 and the 2017 model are the same. The only difference is the cosmetics and grip tape. The 2018 model no longer features Lizard Skin grip tape. What kind of batting tape or grip is it? The batting grip used on this 2018 COMBAT MAXUM -5 Senior League Baseball Bat (SL8MX105) will feel and look similar to a Lizard Skin grip, but it will actually just be a grip that is designed and built by COMBAT. Is the Maxum similar to the Easton S1? Looking for a bat with the same balanced feel. The 2018 COMBAT MAXUM -5 Senior League Baseball Bat: SL8MX105 is a one-piece composite and well balanced bat. The Easton S1 was a two-piece composite well balanced bat. The 2018 COMBAT MAXUM -5 Senior League Baseball Bat: SL8MX105 is not a BBCOR bat. All BBCOR bats will feature a -3 length to weight ratio. Is this the new "wood like feel" bat with the USA bat stamp that bats will need starting in January 2018? 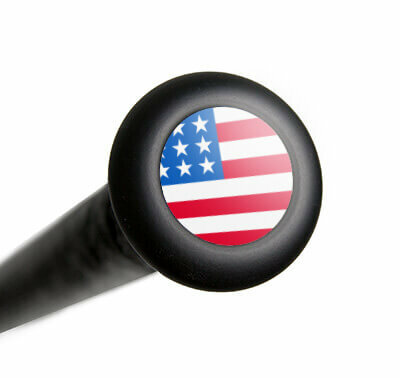 The 2018 COMBAT MAXUM -5 Senior League Baseball Bat: SL8MX105 does not feature the USA stamp and thus will not perform similar to a wood bat. This bat has the USSSA stamp and will perform much better than a USA stamped model as the barrel walls on this bat will be thinner, thus allowing for more trampoline effect and higher exit velocities off the bat. How are you able to stock Combat bats? When did these Combat sl8mx105 bats get produced? Combat declared bankruptcy in 2016 if I recall correctly. Who will service any warranty issues? Easton bought Combat, and Combat made this years model. Easton will take over the Combat warranty. We don't know the exact date of when they were produced. But they were produced a little bit before they were released. I need to know if this bat will be legal for use at Pony Baseball or Little league use? Unfortunately, the 2018 COMBAT MAXUM -5 Senior League Baseball Bat: SL8MX105 is not approved for play in Pony or Little League baseball. Starting in 2018 you will need to have a bat that is either USA or BBCOR certified depending on what division your player is in. Why such a good deal on a 2018 bat? That worries me. Will this be legal for use in AAA select baseball tournaments? Not Pony or Little League. The 2018 COMBAT MAXUM -5 Senior League Baseball Bat: SL8MX105 is marked down as these bats are on closeout as well as the fact that we purchased the entire inventory of this model. As a result of the lower price point we were able to secure the bat at we can pass along this savings to our customers. This bat does feature the USSSA and 1.15 BPF thumbprint stamp and would be a great option for a 13U or 14U travel ball player who participates in USSSA tournaments/games; this bat would be illegal for Pony and Little League. The product description paragraph notes that it comes with lizard skin grip, but one of the reviews says it does not. Which is it? This 2018 COMBAT MAXUM -5 Senior League Baseball Bat (SL8MX105) will feature a synthetic bat grip for enhanced comfort & reduced vibration. However, the brand of the grip will not be Lizard Skins. I am 5"10" and 135 lbs and I am wondering what size bat I should swing? Based on your height and weight, would recommend getting the 2018 COMBAT MAXUM -5 Senior League Baseball Bat: SL8MX105 in a 33 inch model. Does this come in 33"? And is a 33", -5 even allowed at youth level (13 year old)? 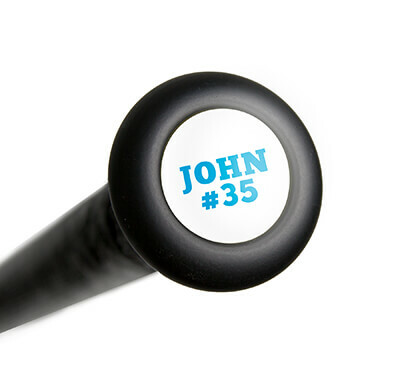 This bat is not made in a 33" size model as far as we are aware. We do have a few 33" models in a -5, and I don't believe 33" length bats are illegal in middle school age leagues. One example we have is the 2018 DeMarini Voodoo -5 (WTDXVB5). Does this bat come in a 30"/25 oz size? Originally, we did carry the 2018 COMBAT MAXUM -5 Senior League Baseball Bat (SL8MX105) in a 30"/25 oz size. Unfortunately, we are sold out of that size and because this is a closeout model, we will not receive more of the 30"/25 oz bats. Is this bat available in 31 inches? The 31" size of the 2018 COMBAT MAXUM -5 Senior League Baseball Bat: SL8MX105 was manufactured, but unfortunately we no longer have any more of that particular size in stock. Thank you very much. I have bought many bats from JustBats.com and referred many friends to you. Your service is the best. Thanks again.